Lomachenko and Rigondeaux are still largely unknown beyond the boxing world but this fight on Saturday will surely change that. Lomachenko enters this fight as a sizable -386 favourite being the bigger boxer and having at least a ten-pound advantage over the super bantamweight. Rigondeaux's comeback is +284. Expect their lines to tighten as fans go back-and-forth. A "superfight" that could steal the "Fight of the Year" if both boxers live up to their promise, Lomachenko and Rigondeaux don't just have the technical mastery to produce a scintillating affair but the heart as well. Calling this a "slugfest" will be an insult as these two tacticians are true boxers and are ranked beside each other in the top-two in defensive stats. This is going to be chess match more than a war but one with enough moments to captivate not just the purists but even the new fans. Lomachenko owes plenty of his success to his father, Anatoly who since his childhood enrolled him in dancing classes to establish his fantastic footwork. When he turned 13 is when he started boxing. Nicknamed "Hi-Tech" or "The Matrix", thanks to his ability to dazzle both his opponents and the crowd with his fleet footwork, precise movements, and pinpoint combinations, it was akin to the martial arts sci-fi film. The Ukrainian paved a prolific amateur career with a staggering record of 396 wins versus only one loss, against Albert Semilov, who he beat twice. He has earned multiple gold medals most notably during the 2008 Beijing Olympics as a featherweight and during the 2012 London Olympics as a lightweight. He added two more during the 2009 and 2011 champions as a featherweight and lightweight, respectively. As impressive as Lomachenko's amateur career, Rigondeaux's is even more stacked. The Cuban is widely regarded by many as having one of the greatest careers where he accumulated ten gold medals including back-to-back golds during the 2000 Sydney and 2004 Athens Olympics. Rigondeaux earned a gold medal in consecutive years from 2000 to 2006. He has over 463 wins compared to only 12 losses. 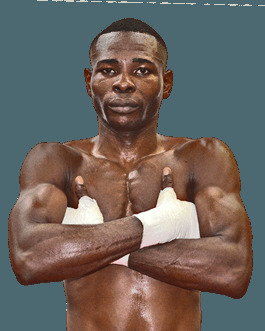 Nicknamed "El Chacal" (The Jackal), Rigondeaux is notorious for unbelievably fast hand speed and punching power. Pound-for-pound one of boxing's hardest hitters, Rigondeaux has broken jaws. Besides his natural athleticism, Rigo is in shape and is physically younger than his biological age. He is also a deft counter-puncher and is nigh-impregnable on defence like Loma. When the number-two and number-three pound-for-pound fighter collide, it will surely be a clinic. The odds favour Lomachenko due to the weight. Rigondeaux will be packing on ten pounds and that could affect him negatively. The Cuban is naturally a bantamweight and adding the extra weight could affect his speed and explosiveness. A slightly slower Rigondeaux will be ripe for Lomachenko's picking. Another factor will be how seasoned both fighters are. Lomachenko may have less boxing bouts but has been far more active in recent years. Since 2014, Loma has fought nine times and gone past five rounds in eight of those bouts. Rigondeaux has only fought five times and three of these bouts were two rounds and under. Lomachenko has been more active and has proven cardio while a heavier Rigondeaux could start to wear out halfway. Defensive is where Rigondeaux has been better than Lomachenko. The Cuban leads boxers in the percentage of power shots absorbed with Lomachenko a distant second. However, this is also due to Rigondeaux not showboating as much as Loma who is also more aggressive. Lomachenko has also fought at a more frequent pace against tougher veterans. Rigondeaux hits harder and is faster but the added weight will hamper him even by just a little bit. Lomachenko is also fighting his smallest opponent in his preferred weight class. The odds are stacked in his favour. Expect a competitive bout early on with Lomachenko pulling away around the mid-rounds en route to a unanimous decision or late stoppage. Fights like this don't come often and both boxing and sports fans, in general, should tune in to watch two of most masterful boxers today go toe-to-toe. Those into the action can check out online sportsbooks open to Canadians. These books all offer boxing lines and their own signup promotions. Check each book to see if its suited to the way you like to wager.